Juneau – Today, the Alaska House of Representatives unanimously passed legislation to remove industrial hemp from the list of controlled substances and to authorize commercial farming of hemp in Alaska. Senate Bill 6 passed the State Senate unanimously last April, and today the bill passed the house by a vote of 36-0. The bill is sponsored by Senator Shelley Hughes (R-Palmer) who sought to build on the efforts to authorize industrial hemp by former State Senator Johnny Ellis from Anchorage. 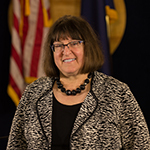 SB 6 was carried on the House floor by Rep. Harriet Drummond (D-Anchorage). “Hemp has the potential to be a shot in the arm for Alaska’s agricultural sector because of its many uses. Hemp products are used in textiles, nutritional products, furniture, paper products, and construction materials. Hemp cultivation is legal in 30 states, but it’s the success in Canada that makes hemp such an attractive prospect for Alaska, due to our similar climate. Hemp has the potential to have a positive economic impact on Alaska, which is why SB 6 has received such overwhelming and bipartisan support,” said Rep. Drummond. SB 6 removes industrial hemp from Alaska’s list of controlled substances and defines it as an agricultural product. The bill allows Alaska to participate in a federal pilot program and instructs the Alaska Division of Agriculture to develop a registry of hemp farming operations in Alaska. Senate Bill 6 will be sent back to the State Senate for concurrence. If the Senate agrees with the changes made in the House, the bill will be sent to Alaska Governor Bill Walker for his signature.